There’s always a lot of discussion about the Boots 70% off sale happening every year, this sale is great for those who are looking for the best deals on a variety of different products at such a low price, from one of the biggest retailers in the U.K. The Boots 70% sale will include all types of reduced products such as kids clothing, fragrances, luxury beauty, toys and so much more! At this price you better be quick, once it’s gone there’s no going back. When is the Next Boots 70% Off Sale for 2019? This page informs you on when the next event is taking place and the exact date it will go live. When the schedule is known our editors and the community will let you know in the comment section down below. Where to find the Boots 70% Off Sale when it’s live If there’s an event live in April 2019 you’ll find all discounted items on the Official Website, although the community and our editors will update this page below once the event has started. Love it, I stock up on so much every year when boots do this sale, such big discounts on some really popular items, I find this the best time to buy at boots. Our insider has told us the Boots 70% off sale will be on Wednesday 18th January 2017, although some people are claiming it will be on Monday 16th. When it’s live we’ll let everyone know. Usually it lands on the 3rd wed in January, so the 18th makes sense. Got my money ready, can’t wait to spend it on some bargains. Is it 75% or 70% off I always get confused? Cant wait to pick up some good deals, does anyone know if its any longer than 1 day? Any news if it’s on today? Nothing on the Boots website and normally we see it go down for a short time, it looks like the Boots 70% off sale won’t start today, I hope they update in January still. The Boots 70% off sale for the 3rd Wednesday 18th January isnâ€™t going ahead, although itâ€™s still expected this month with our insider talking about Friday 20th being a possibility. The decision will be made last minute by management, check back soon for an update in regard to the start date for Boots 70% off sale. Our insider has confirmed the Boots 70% off sale will start on Friday 20th January in store and run until stock sells out. when is the Boots 70% off sale starting online? Is their a time, or will it be in store only? I heard the discounts in store could reach up to 75%. Let’s hope they’re not just clearing off the current sale stock, as there’s hardly anything left unless they have held a lot of sale stock back for the 70% off sale on Friday. Let’s see. Does anyone know if they are opening early tomorrow please? There’s up to 70% off Boots mini club clothing right now online, this is pretty much the main product line receiving a discount online today. In-store there’s loads of sale items at up to 70% off, not sure on the opening hours for today as many locations haven’t updated store times using their store locator. UPDATE 20th Jan 0:531am. My local store will open slightly earlier for the Boots 70% off sale, we are East Kent in Thanet, but I do believe most won’t open any earlier than 1 hour before normal store opening times. The only items in the sale only are mini club clothing and a few other select lines. You will now find the Boots 70% sale is LIVE for select items online which includes, old Christmas stock and some bargains on mini club clothing. If you’re after a crazy deal head to your local store when it opens, varied by store. Keep your eye out for the next Boots 70% off Sale starting soon in 2018, but right now we can see that there is a 1/2 half price on now instead. Good news everyone, 70% off banners are now being seen in store behind the 50% banners so we have a feeling that the 70% off Sale is going to start very soon. It could be on Friday January 12, but if not, next week for sure! Who’s waiting for it? it’s tomorrow! 🙂 does anyone know if it’s normal opening time? The Boots 70% off sale has STARTED! In-store only it looks like, but still online has many items half price off. Anybody find any great offers in-store yet? 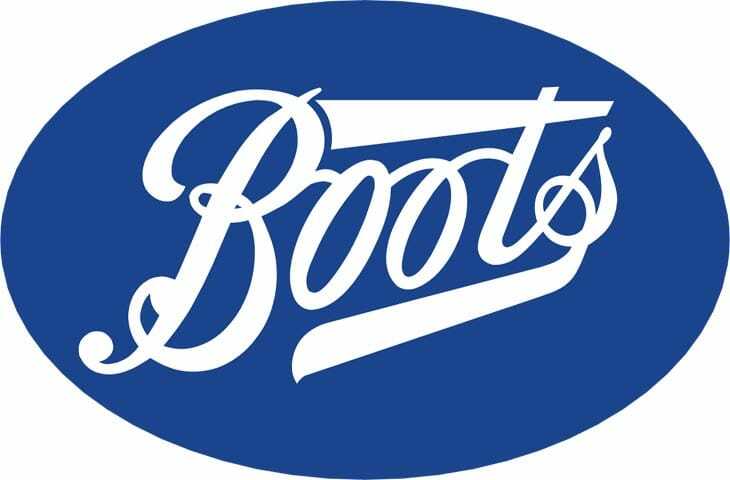 The next 70% off sale for Boots is expected to be on 18th January, 2019, which is a Friday. I’ve heard rumours that the boots 70% off sale could be extended to next Friday, does anyone know if this is true or is it still going ahead tomorrow? So the sale still hasn’t gone live, this is crazy especially as it was a year ago today. I’m hoping it will start over the weekend. Fingers crossed. I’ve seen in a few places that there’s a possibility that the sale could end up going live this Thursday or maybe even Friday…Either way it must be due, it’s nearly February!! Heads Up People: The Boots 70% Off Sale has been CONFIRMED for this Friday, 1st February 2019! We’ll keep you updated for more news and updates. I literally cannot wait for the sale tomorrow, it’s felt like forever! Does anyone know the opening times, I could imagine it will be early? I’ve just gone onto the Boots website and noticed that it say’s “Plus save up to 70% Off in store” can anyone help me out and let me know if it’s going to be online too like it was last year? The Boots 70% Off is LIVE TODAY!! However, you’re able to see all of the sale items In-Store. Plus, we’ve also heard it includes big branded names such as Jack Wills, Fat Face, Skinnydip and many more! Also, feel free to let us know if you managed to find or even pick up some great bargains too!